Morphy Richards kindly sent me their Morphy Richards Premium Plus Breadmaker to review. I have to admit I've had it for a few months now. When I make bread, I make it by hand, so I wasn't sure if I would like using a breadmaker. There is something very therapeutic about kneading dough. I like the design of the breadmaker, it has curves! The display panel is easy to read. There are only 4 buttons to flip between settings, although these took me a few attempts to master. There is a display window on top so you can watch your bread baking. The recipe book and instruction book are both easy to follow. The blade can be removed from your baked loaf easily and doesn't leave too much of a hole. It's big, but then breadmakers are. I would like a longer cable, so I can have a choice of where to use it in my kitchen. I did have a couple of disasters before I got to this loaf. My First Attempt - I used a recipe from a breadmaker book from the library and the loaf came out really dense.I don't think the dough was wet enough. I wasn't impressed and I put the breadmaker away again until after Christmas. My Second Attempt - I used the recipe book that comes with the breadmaker, I was much more hopeful. I popped all my ingredients in, set the timer and got on with my day while the machine did it's magic. 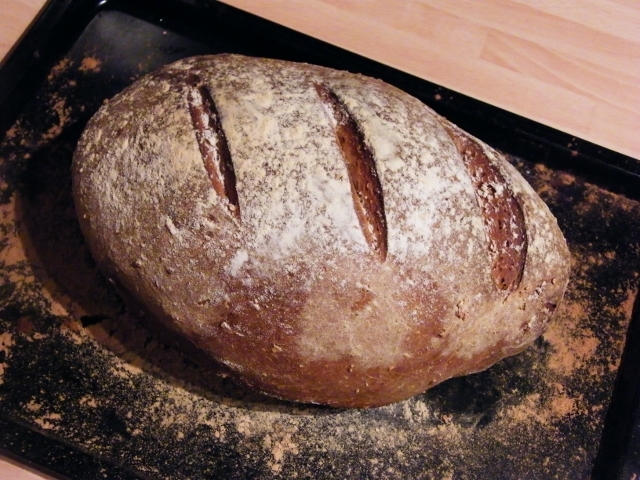 When the programme was finished, I came back to have a look at my loaf and was really disappointed to see that all I had was a baking pan full of hot flour. I nearly gave up at this point until I realised it was my own stupidity. I had forgotten to put the blade back in. Doh! My Third Attempt - was more successful. I made the basic wholemeal loaf from the recipe book. I left out the milk powder, so Graham (Mr Vegan) could enjoy it too. It resulted in a really good loaf. Graham was impressed with the crispy crust and the soft crumb. Yay! I got there in the end. So, to sum up, I still make bread by hand, when I have time and I use this breadmaker when I don't have much time, but still want a fresh loaf. I will be sticking to the recipe book that came with it for the time being, until I become a bit more confident. 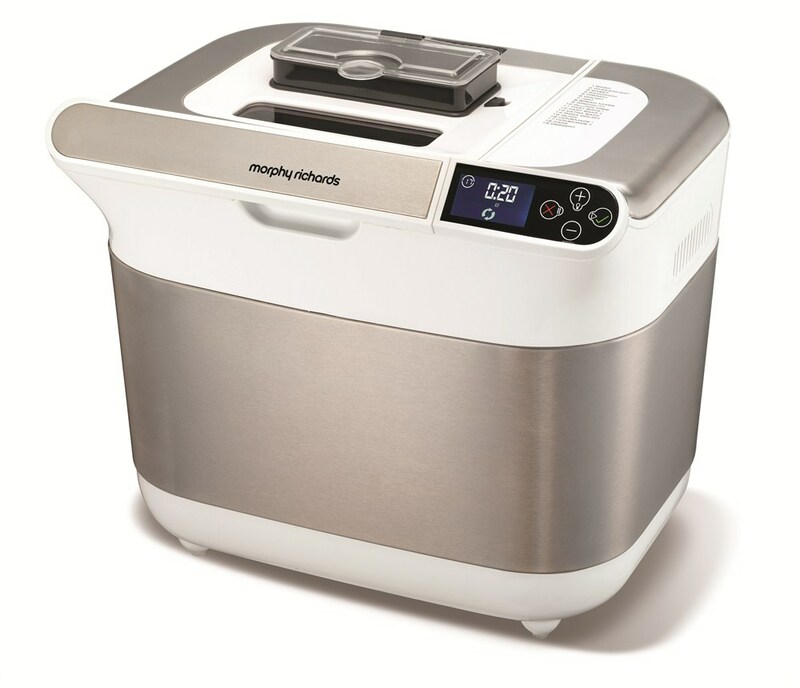 Disclosure: Morphy Richards sent me this breadmaker to review. I was not required to write a positive review and any opinions expressed are my own. It's well worth using the dough setting then proving and baking the bread in the oven. My husband uses the full programme on ours to make bread two or three times a week and has done for the last 10 years or so. 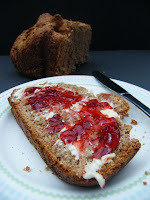 We have had several breadmakers but the Panasonic is the one I would recommend for consistency. Hi Janice, I will give that a go. As I still like to make bread by hand, I am more than happy with this breadmaker, but thanks for the recommendation. I have to say, I am SO machine challenged that the idea of a breadmaker fills me with abject dread! I'm really proud of you for going back for round 3, I would have f kicked and wailed at finding hot flour! Good on you for figuring it out. My sister shares your trouble with the bulk and cord length, as her kitchen is also quite wee. Here's hoping the manufacturer listens on this issue! A longer cord would really make a huge difference, as I have to move everything around to use it. Fine if you have a big enough kitchen to find a permanent place for it too sit. Apart from that, I am happy with it. I'll have to try just starting dough in the Breadmaker, then continuing in the oven. Lucky you! I always knead my bread, but if I were a young mother with all the distractions, I would have loved a bread-maker! Glad you finally had success, Jacqueline! I got there in the end Barbara. 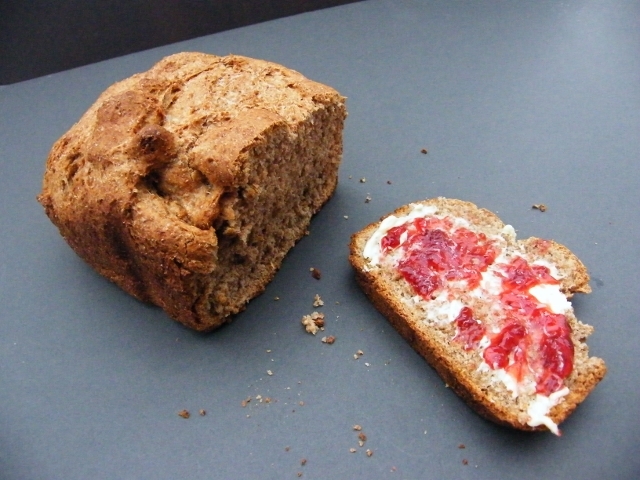 If I had more time to call my own, I would make my own bread from scratch more often, until then, this is a good help. but I'm still new to everything. Do you have any points for first-time blog writers? I'd really appreciate it. Just keep working at it and visit lots of blogs to see what they do. I'm with you Sarah, jam is a must with fresh bread. LOL, I have one of these breadmakers too. I'm kind of reassured that someone who bakes a bit more than me still has problems! Right now all I get is bricks and I have no idea why! 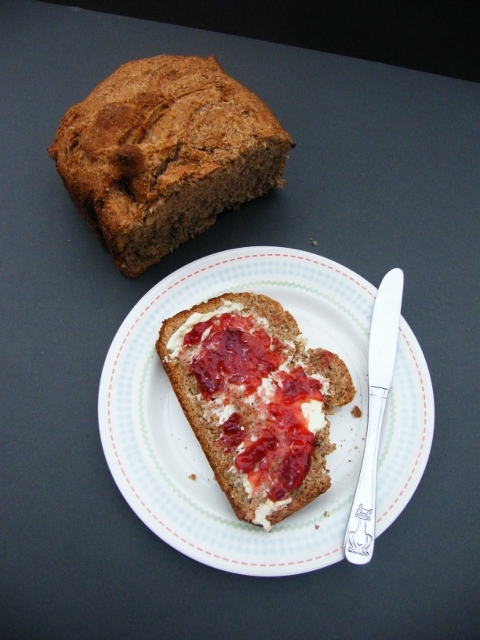 Have you tried the recipe book that comes with it, I think it is wiser to start with that & make sure you are on the right loaf setting for the amount of ingredients you are using. I love my breadmaker, mine is a Williams-Sonoma breadmaker.